Thursday 27th January 1916: With the news that many farm labourers who were supposed to be “starred” as essential labourers have enlisted during the Derby recruitment campaign farmers must prepare for their eventual departure. The Leighton Buzzard Observer is concerned that the recent enthusiasm for the idea of employing women to work on the land is ignoring some of the practical difficulties. While a farmer’s wife or daughter may be used to helping with the milking or looking after poultry, calves and pigs, this is very different from the work of a hired hand who is expected to take on any task. 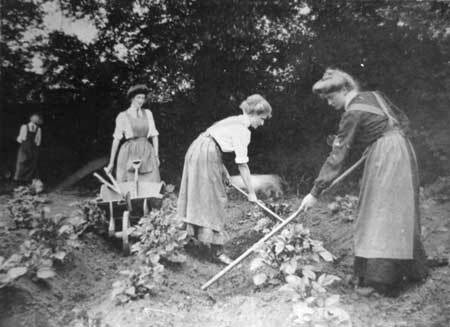 Much farm work in winter would be too hard for ninety-nine women out of a hundred. Whereas it may be possible to find specific tasks for them on large farms, for small farms where labourers need to be able to turn their hand to anything the employment of women is impracticable.